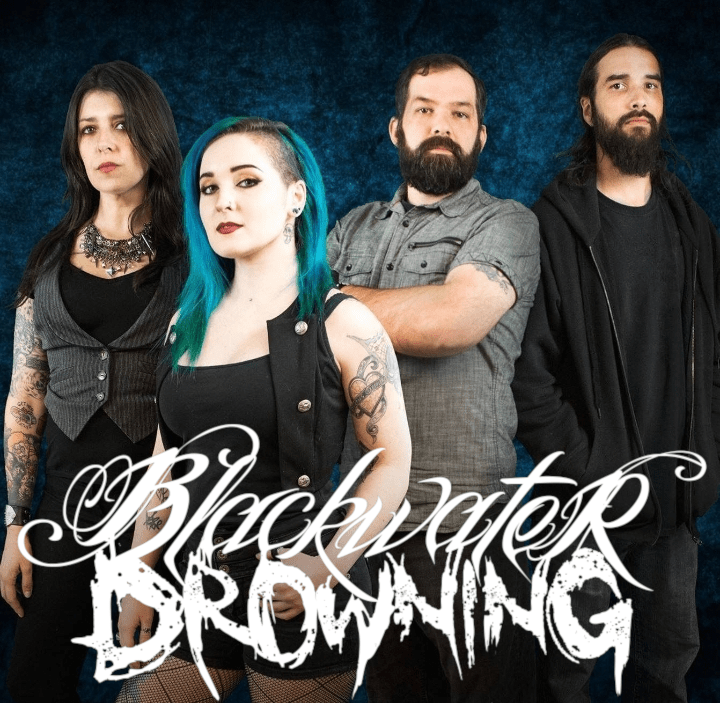 Blackwater Drowning is a melodic metal band from North Carolina. With both crushing and hooky riffs, as well as brutal and clean vocals backed up by memorable live performances, they are a force to be reckoned with in the metal genre. “Thank you so much for streaming our new single, “Atlas”. Coming rather quickly behind the incredible success of our debut video, “Violent Ends”, we knew we needed to punch out hard and heavy. We hope you all enjoy it. We’ve really put all of ourselves into the new material and are stoked to share it. The new EP is a very big step up from the first one. When Blackwater Drowning started (before it was even a named project,) a lot of the members had a technical death metal background of many years, and were a bit burnt out on playing music that they felt like only other musicians really understood. With Blackwater, we wanted to come from a more accessible place. Something that every person, regardless of age, background, experience, etc. could understand. We believe we did achieve that, but also that we over-shot the mark a bit. We found ourselves not challenged enough and missing the brutality and darkness that many of us have called home for most of our music careers. We decided, as a group, that we would not sacrifice one thing for another any longer. We feel our new EP, entitled Ruthless, is a really seamless blend of technicality and feeling. The darkness is there, and the technicality is back, albeit at a moderate level, which we believe really keeps it accessible for our listeners. What you’ll hear is a lot darker grooves, brutal vocals, attack riffing, mixed in with those unmistakable Blackwater guitar licks. It will still be familiar to our fans, but more exciting, we hope.